We, the people of ancient ethnic origin of Arab, Assyrian-Chaldean, Circassian, Armenian, Kurdish, Laz, Roma, Greek, Turkish, believers of Alevi, Yazidi, Sunni, Christian, Muslim and Jewish religions as well as non-believers, men, women and LGBT immigrants and refugees who reside in Europe but come from Anatolia and Mesopotamia, have gathered in Brussels on 29-30 June 2013 in order to intervene in the continuing negotiation process and contribute to shaping a democratic and peaceful future. Following the conferences in Ankara and Amed, our conference took place during the Gezi Park resistance of the people of Turkey who started a struggle for democratic rights and freedoms against the authoritarian regime. We salute this resistance which showed us that we are going through a period that can lead to radical changes in the Middle East starting from Turkey and our people can find common ground for struggle. We believe the collective energy generated from the struggle can contribute to socialization of the peace and democratization process. Resistance manifested in the slogan of ‘Taksim is looking after Lice’ against the massacre in Lice gives us hope and we demand immediate release of the demonstrators who used their democratic rights to protest and the killers to be brought to account. As people who live or forced to live in Europe, together with various political organizations formed by us, we believe that we are part of the dynamics of this process. Therefore we believe that it is a historic responsibility for all ethnic and faith groups who left the country due to the racist, monolithic and destructive policies of the Turkish state from past to present as well as for economic reasons to participate in this process as a specific power. With our belief that a historic opportunity for peace has appeared with the call of Mr Abdullah Ocalan at the 2013 Newroz, we have decided to join together to make sure that the negotiations progress to a result, to build long-lasting peace, create a free, common and democratic future which will secure the rights and freedoms of all nations and beliefs. We are at the important stage of the democratic solution and peace process. We would like to declare that our conference will be taking its historic responsibility for peace and democracy as we believe in order to build a common struggle and make unity permanent we need to work in coordination with the conferences that have already taken place in Ankara, Amed and Brussels and the conference scheduled to take place in South Kurdistan at a later date. Hereby, we agree with the decisions and final resolutions of the Ankara and Amed conferences and subscribe to them. As people living in Europe, we know very well the approach of the European states towards the struggle for democracy and freedom taking place in Turkey. As in the past, the approach of these countries to the Kurds and Kurdish Question is based on fulfilling their own interests in the region. The decisions taken by Turkey and strategies prepared by them in relation to fighting against terror have been undertaken by the European imperialists. They have provided all sorts of military intelligence and political support to the Turkish state. Therefore those European states where we live became part of the war which was going on for 30 years. Kurds who fight for their national identity, their organizations, and the other organizations opposing the system, have been declared as potential criminals while arbitrary bans implemented with terror lists have been imposed. With this support from the European states, successive Turkish governments imposed anti-democratic policies towards the people and workers in Turkey and attempted to enforce such policies among the immigrant populations living in Europe. Turkey is trying to use Turkish origin immigrants as a base for its bloody policies by manipulating immigration issues. Turkey is trying to lock immigrants into the ghettos in order to prevent them joining social life in the countries where they live, seize their resources, intervene in the life of the people from Turkey and Kurdistan, trying to exacerbate Turkish-Kurdish and Alevi-Sunni polarizations to these areas by agitating Turkish nationalism. 1- Our conference believes that in order to progress the negotiation process with no interruption and to reach long lasting peace, a liberal democracy based on pluralism and equality should be established together with all the institutions; all the ethnic and faith groups should be granted equal rights under constitutional guarantee and democratic self-administration should be established all around the country based on the European Charter for Self Administration. We believe that democratization and establishing peace are inseparable. 2- However, we would like to express our concerns about the recent developments. The peace and democratization process can only progress on the basis of mutual trust. Although the first phase of the three phased action plan completed by the declaration of a ceasefire and the successful withdrawal of the guerilla forces, the second phase has not started yet while hegemonic and authoritarian politics, which became evident during the Gezi resistance, creates serious problems. Trust can only be achieved through mutual steps and only this can make democratic solution and peace process stronger. Therefore, the AKP and Turkish Parliament should comply with their responsibilities in order to start the second phase which is called legal and constitutional process. 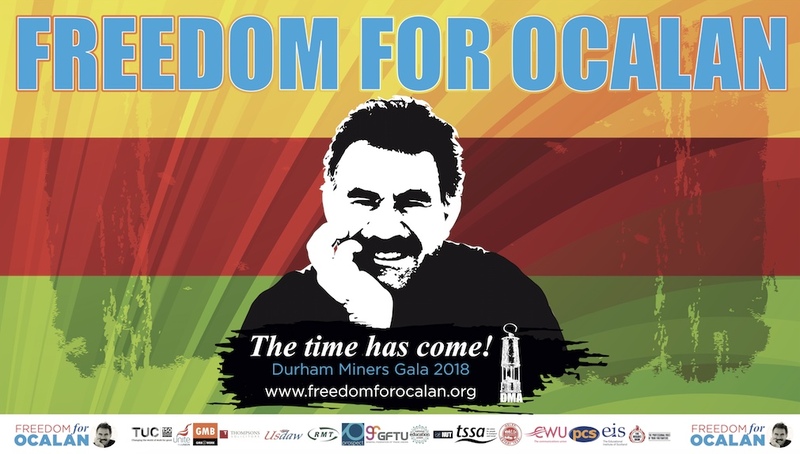 3- At this stage, it is essential to create health, security and freedom conditions for Mr Abdullah Ocalan, as well facilitating communications between him and the Turkish parliament, the different delegations representing different communities in order to continue and widen the process. Our conference calls on the AKP government to take all the necessary steps as soon as possible to enable this. 4- The path for democratic politics should be opened in order to use this historic opportunity in favour of the people and the socialization of the negotiation process. Therefore we invite the AKP government to remove all the obstacles before the democratic politics (democratization of law on political parties and elections, abolition of the threshold etc. ), to end all the measures limiting rights for freedom of expression, freedom of association, freedom of assembly, media and broadcasting, to create an environment where everybody can access education in the mother tongue, live in every aspect of life using their mother tongues and exercising their beliefs. 5- Therefore we invite the Turkish state to comply with the already ratified UN Charter, International Declaration of Human Rights, European Human Rights Convention, to end human rights violations and act according to the rule of law, division of powers supported by balance and auditing mechanisms; and invite them to lift all the restrictions on all international conventions such as European Self Administration Charter, Children Rights Charter, Convention for Elimination of the Discrimination Against the Women and to ratify all other conventions concerning humanity and the environment. 6- We request the government to undertake all the legal arrangements and implement them as soon as possible to secure the release of all seriously ill child detainees. In connection with this we call on the government and the parliament to prepare all the necessary laws to allow tens of thousands of victims of coup d’état and dirty war who live in exile to gain all their citizenship rights in order to return their homeland as free citizens. 7- Our conference especially calls upon all the political parties in the parliament to use appropriate political methods and language in accordance with the spirit of the peace while deciding on all the reform laws and adopt them, speed up the democratization and allow the negotiation process to progress to a result. We invite them to abolish the constitution adopted after the military coup while a new and democratic constitution is prepared with the participation all social groups. 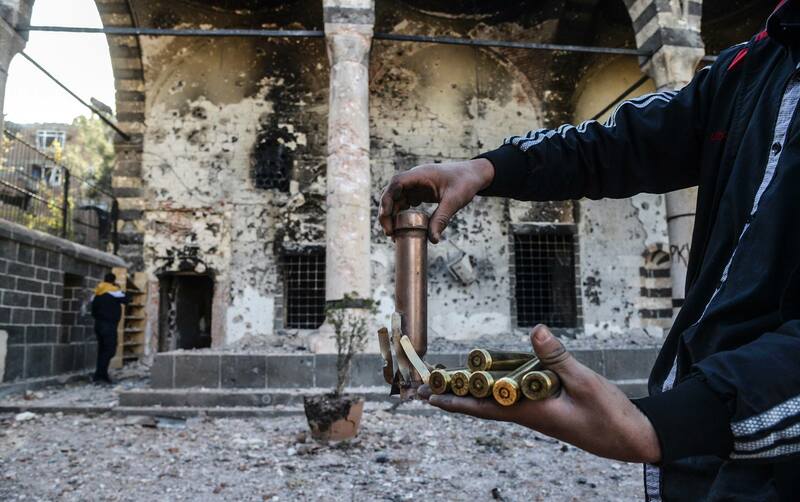 8- Our conference submits its request for new faith centres to be protected under the new constitution and assimilation policies implemented by building mosques in Alevi, Assyrian, Armenain and Kurdish villages to be stopped. The new constitution should define the state as a secular entity and abolish the Department of Religious Affairs. Compulsory religion classes should be abolished. All faith centres confiscated by the state should be returned to the faith groups. The decision to name the third bridge in Istanbul as Yavuz Sultan Selim Bridge which in itself is insult against the Alevis should be changed. 9- Our conference believes a free and common future can only be built if we face our past. We believe facing all the genocides including those against Armenians, Asyyrians, Yezidis and people of Dersim alongside massacres in Maras, Corum., Sivas, Gazi and Roboski as well as extrajudicial killings, disappearances and genocides, will allow us to expose all the crimes against the humanity and will be the first pre-condition for bringing justice and long lasting peace. We therefore declare that our conference will spend every effort to face the past, look for the truth and identify the perpetrators and demand justice. 10- Although we are coming from different backgrounds, beliefs and opinions we believe the establishment of democratization will benefit all of us. We all know that the Turkish Republic is not the only place in need of peace and democracy. Our conference believes peace and democracy is needed in the entire region, all four parts of Kurdistan and in the whole Middle East. We therefore call upon the AKP government to stop its intervening and threatening policies towards its neighbours. 11- We also invite European states where we live, European Union and international community to act according to the UN charter. We feel the pain suffered by Kurds in Rojava and the people of Syria deep down in our hearts and declare that we are in solidarity with them and against any kind of intervention. We would like to declare that we will always support the people of Syria in their struggle to create a free, democratic and peaceful future and will be against any kind of intervention. The European states must stop providing Turkey with the arms and intelligence and the arms trade should stop immediately. Those who are responsible for the massacre in Paris must be uncovered. The ban on the Turkish and Kurdish organizations should be lifted; those who were arrested for their activities must be released. 12- We the participants of the conference see ourselves as components in the peace and democracy process. We do not limit our duty as observers of the negotiation process only but also as active participants. We would like to declare to the democratic public that in order to contribute to the long lasting peace, we will be starting to work to socialise the peace and negotiation process, will bring the other groups who are outside the conference into this struggle and continue to inform the democratic society in Europe. 13- As the participants in the conference we call on all the people from Turkey and Kurdistan, all the institutions set up by them to continue the struggle for justice, equality and democracy in Turkey together, in order to intervene in the peace and solution process together. We would like to stress that we are open to the different views and the only way for differences to be secured is for the victims to act together. 14- as participants in the conference we declare that we have common demands and approach for peace, solution and democratization and we are united in struggle to realize them. We also declare our common and strong will to work for the socialization and widening of the peace and democratization process, and strengthen our struggle for equality, freedom, labour rights and ecological justice with democracy. 15- Our conference identifies gender issue to be one of the most important issues in the 21st century. We therefore believe the situation of women to be the most dynamic and fundamental to social life and cannot be separated from society. Any act against women is an act against the society. Our conference declares its opposition to any form of attack against women. Our conference embraces equal participation of women at every level of the socialization. 16- Our conference brought together different segments of the people from Turkey and Kurdistan in order to form a strong popular force for a solution, peace and democratization. Therefore our conference sees building local organization for peace as its duty to contribute to long lasting peace and participate in building our democratic future. In order to progress its activities, our conference has decided to organize an assembly. Moreover it has been decided to form a Truth Commission, Justice and Reconciliation Commission, to work with the European public, a Public Relations Commission, Law and New Constitution Commission, Freedom of Women Commission and Youth Commission, under the assembly. 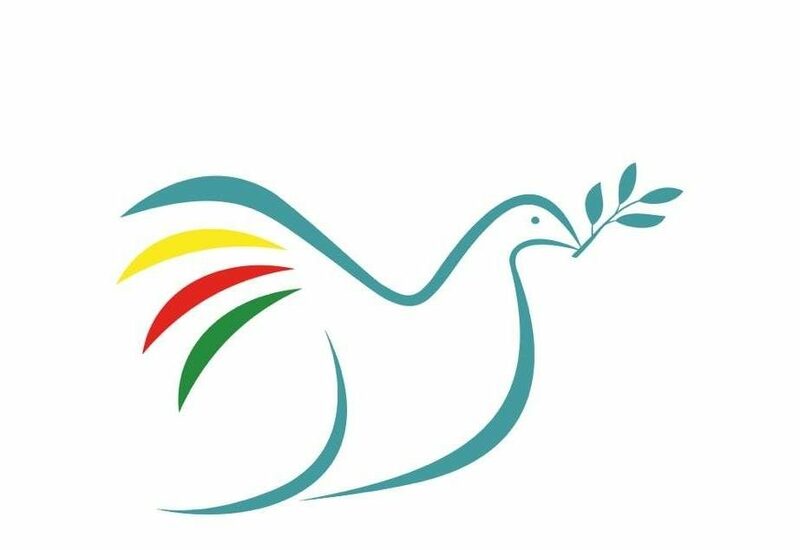 We invite every person and institution who supports peace and democracy to join together in order to build long lasting peace, a pluralist, equal, libertal democracy and a democratic common future. We are aware of our responsibilities. We would like to declare to our people and the general public that we have adopted these duties for an honorable and just peace.